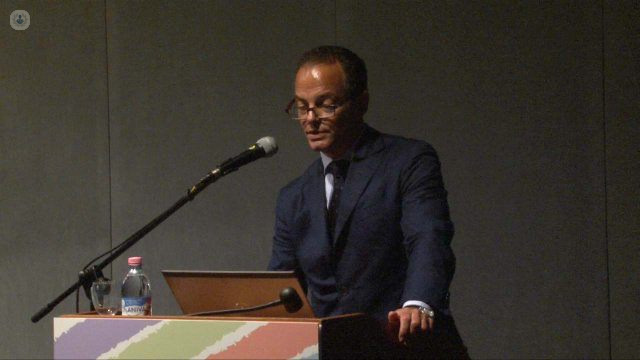 Dr. Luca Guarda Nardini is an expert in Maxillo-Facial Surgery in Treviso. Graduated in Medicine and Surgery at the University of Padua in 1985, has an extremely broad knowledge of the diseases that afflict the facial skull area having achieved the specializations of Dentistry in 1988, Maxillofacial Surgery in 1993, Otorhinolaryngology in 2003 and a Masters in Surgical Therapy of the Temporo-Mandibular Articulation Disorders in 2006, as well as numerous advanced courses. 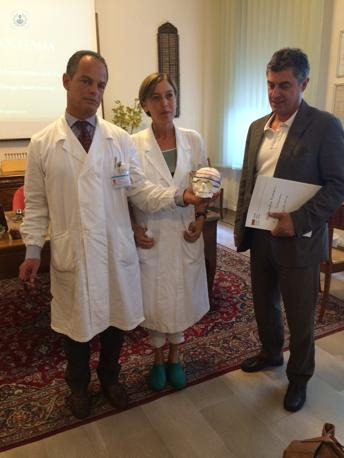 Since 2000 he has been Professor of various courses in the field of Maxillofacial Surgery at the University of Padua. He is also President of the Italian Society of Dysfunctions and Temporary Bands. He deals mainly with the pathologies of the temporomandibular joint, and performs orthognathic, oral, facial and facial skull surgery. 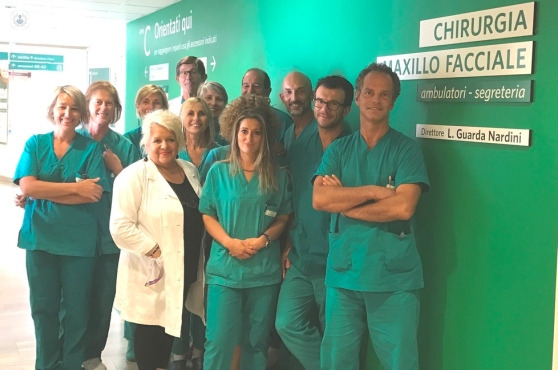 He is currently Director of the Complex Structure of Maxillofacial Surgery at the Ca 'Foncelli Hospital of the ULSS 9 of Treviso, where he also works as a freelancer. • Director of the Complex Structure of Maxillofacial Surgery at the Ca 'Foncelli Hospital of the Local Social Health Unit 9 of Treviso, 2015-present. • Head of Simple Structure of the Department of Treatment of Malocclusions and of Temporal-Mandibular Articulation Disorders at the University Hospital of Padua, 2006-2015. • Senior Medical Director in the Department of Maxillofacial Surgery of the Dental Clinic of the University of Padua, 1998-2015. • Level I Director in the Department of Dentistry and Maxillofacial Surgery in the Local Healthcare Unit at the Rovigo Hospital, 1998. • Assistant Co-responsible in the Local Social Health Unit at the Rovigo Hospital, 1993-1998. • Assistant Physician in the Department of Stomatology and Maxillofacial Surgery at the ULSS 10 of Treviso, 1991-1993. • Specialist in the Department of Maxillofacial Surgery at the University of Padua, 1991. • Specialist doctor in the Department of Dentistry at the ULSS in Verona, 1990. • Specialist in Dentistry in the Odontological Clinic at the University of Verona, 1989-1991. • Student Doctor in the Department of Plastic and Reconstructive Surgery at the University of Mexico City, 1990-1997. • Medical Student in the Institute of Pathological Anatomy at the University of Padua, 1980-1984. • President of the Italian Society of Dysfunction and Temporomandibular Algia (SIDA), 2018. • Professor of multiple courses including Maxillo-Facial Surgery and Face Surgery in the Department of Medical-Surgical Specialties at the University of Padua, 2000-2018. • Degree in Medicine and Surgery at the University of Padua, 1985. • Specialization in Odontostomatology at the University of Padua, 1988. • Specialization in Maxillofacial Surgery at the University of Verona, 1993. • Postgraduate Course in Mandibular Cranial Disorders at the University of Padua, 1996. • Specialization in Otorhinolaryngology at the University of Padua, 2003. • Master in Surgical Therapy of the Temporo-Mandibular Articulation Pathologies at the "La Sapienza" University of Rome, 2006. • Managerial Training Diploma for Executives of Complex Structure, Veneto Region, 2017. • Author of 185 scientific texts for national and international journals. Monday 6th of May: 15:30h.